Synopsis: Set during the heat of the Bosnian conflict, a young Bosnian soldier deserts his company, fleeing with his sister to a Sarajevo newspaper office in hopes of striking a deal. In exchange for safe passage out of Bosnia, he will give eyewitness testimony of his company’s participation in the massacres of Muslim men and boys and systematic rapes of Muslim women. But before his testimony can be recorded, the office is surrounded by Serbian infantry. The newspaper editors are given 24 hours to give up the soldier or be stormed by the troops. *Contains heavy language and violence. "a strong statement about the power of information." "Patterson excels in calling up the atmosphere of anxious times in distant places...."
"'in your face' theater worthy of serious debate." "Politics, money, religion, power. The forces and circumstances that lead men to war are many and varied. But the devastating human cost of war never changes. 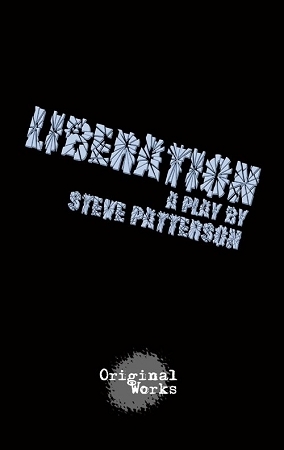 That's the stark and visceral truth that's communicated in this Steve Patterson drama, which reminds us of the terrible atrocities committed during the early 1990s war in Bosnia." "so encompassing that it is hard not to take it home with you."